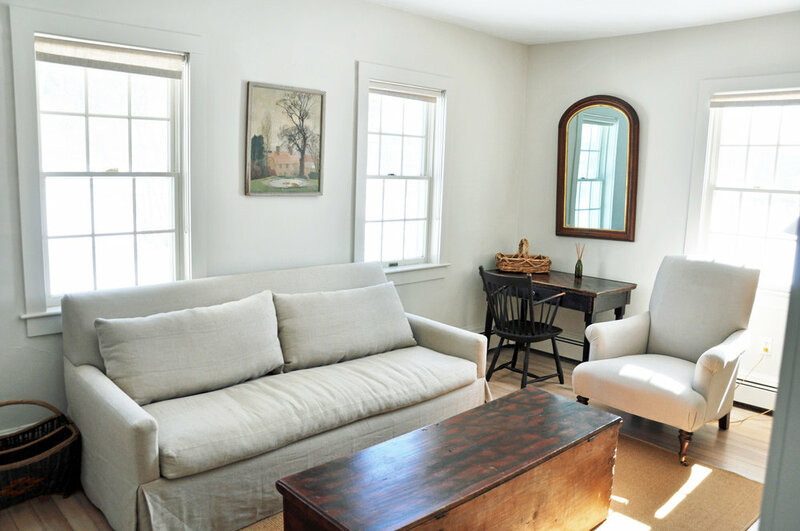 Inside, The Cottage has the feel of a smartly renovated SPACE. The open floor plan on one side includes living room area with brightly colored wingback chairs, dining room with large table, and attractive working kitchen. Light floods in from several windows and the large glass doors in the back, facING East.